...the eruption of "Boo'd Up" may be a sign that things are shifting in R&B for up-and-coming female acts, who have rarely enjoyed the same commercial success as their male counterparts in the last decade. With influences like Mariah Carey, Alicia Keys, Destiny's Child and Lauryn Hill, Mai captures the soulful balladry and lovelorn anthems of classic 90s R&B, updating it with her own unique urban style. 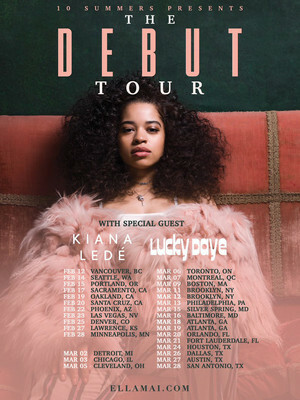 Having already supported the likes of Kehlani on tour, as well as collaborated with Ty Dollar Sign, the fledgeling songstress is hitting US shores on her first American headline tour, a sign of exciting things to come. Sound good to you? 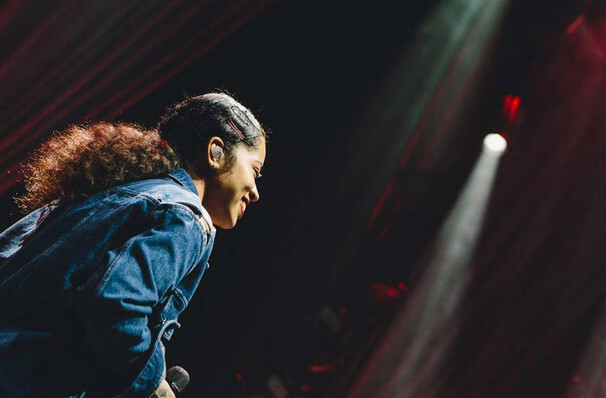 Share this page on social media and let your friends know about Ella Mai at The Novo. Please note: The term The Novo and/or Ella Mai as well as all associated graphics, logos, and/or other trademarks, tradenames or copyrights are the property of the The Novo and/or Ella Mai and are used herein for factual descriptive purposes only. We are in no way associated with or authorized by the The Novo and/or Ella Mai and neither that entity nor any of its affiliates have licensed or endorsed us to sell tickets, goods and or services in conjunction with their events.